Well, this past summer has been so busy and action packed I’ve not had time to write a blog post in months. My inner self is chastising and berating me! So much has happened in the past 3 months since my last post that I don’t know where to start. The end of beginning of June saw the Harbourside Marine Rotary Tuna Classic Fishing Tournament. This is a great event, at a beautiful time of year for fishing in teh Bahamas and for Tuna which is my favourite fish to catch. This year it was partly hosted out of Schooner Bay in South Abaco which is where the winning catch was caught from. 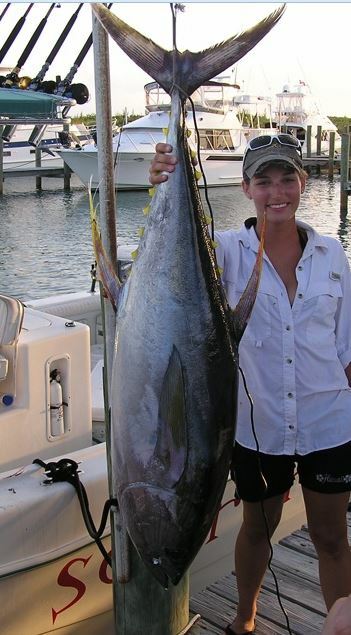 Proves that Abaco is a great place for tuna fishing. I just wish I had more time and money to go fishing, I haven’t been out fishing in over two years… I am firm believer that a bad day fishing is still better than a good day at the office. 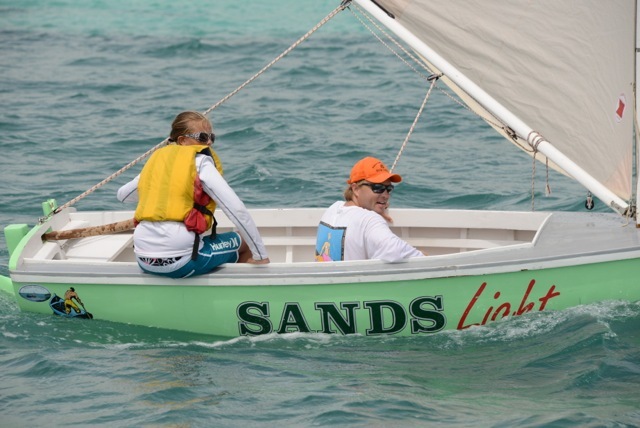 Other happenings include the 38th annual running of Regatta Time in Abaco. It was middling turnout this year, but the winds were up and the racing was lots of fun. However the event was dampened due to a silly scare of a very inconsequential tropical storm that never materialized. As a result, the final 2 races were cancelled and most of the participants went home early. Our crew came out with a bang, winning the first race, and then having a major breakdown (most of the mainsail hanks broke out of the mast track during a jibe at 1 min to the start) so we never got into the second race. Then the third race we placed second. It was great sailing with winds in the 15-20 knot range and nice and steady. The Balamena’s favourite weather. 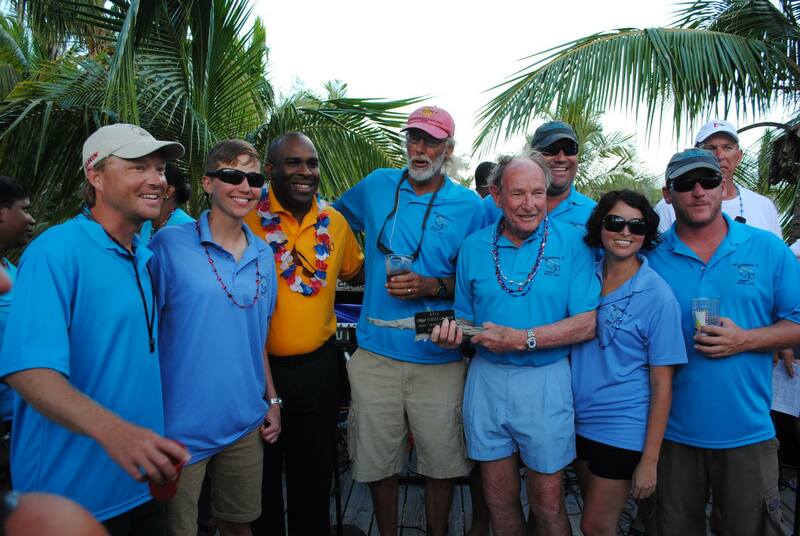 Here is a photo of us receiving our first place trophy from North Abaco member of Parliament Renardo Curry. It was a fun time as always. Another neat event was Bahamian Brewery holding a mini-E class Bahamian Sloop regatta in Treasure Cay. I had a great time racing the E class boats. They are 14′ long, and hand made out of wood in the Bahamas. they sail pretty well and can be handled easily by one person or in heavy weather it is more comfortable with 2. The juniors went out in the morning and crewed for a very promising young lady who placed first in the first race but couldn’t pull it off in the subsequent 3 races. It was followed by a sculling competition which i didn’t hang around for but it looked like fun. I now need $12,000 to buy an E-class sailing sloop – any willing donors out there? Above: me crewing in the Sands Light boat. Last week, I had the pleasure of spending the night in Hope Town, and staying at the Wee House. It is a beautifully furnished and decorated 1 bedroom cottage in the heart of Hope Town. Right between the Harbour’s Edge and the Hope Town Museum and a stones throw from the main public dock. I had not spent the evening relaxing on the back porch in Hope Town in a very very long time. It is a wonderfully relaxing thing to do. The view of the harbour from the porch is picturesque and the cottage has been very thoughtfully appointed, there is even a small cooler to pack a lunch in. Below: the view from the porch as the sun goes down. Thanks for reading, and I hope you get to enjoy Abaco sometime. How similar is the Bahamas Real Estate Market to the US Real Estate Market?